The Dum Dum Girls have been rehearsing nonstop in preparing for their full summer of touring. First, they will be traveling up and down the West Coast from the end of June through the beginning of July with tourmates the Crocodiles before joining She & Him for a one-night only show as part of the Twilight Concert Series in Salt Lake City later in August. They will then tag along with Vampire Weekend and Beach House for a pair of shows at the Malkin Bowl in Vancouver. 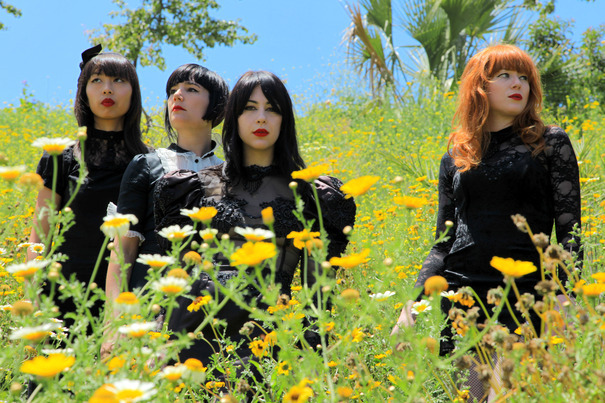 The Dum Dum Girls’ full schedule of touring follows.